I’ll say this up front: if you ever get a chance to see Sebastian Barry reading from one of his books, grab it with both hands. It’s something you’ll never forget. He did two readings in this session, one from A Long Long Way, the other from his most recent, On Canaan’s Side. For each he rose from his chair and stepped to the front of the stage at the Sydney Theatre and gave what could be only described as a performance. It was like watching a play, with one man performing both narration and the voices of his characters, singing a few lines of song into the bargain. I was so mesmerised by not just his readings but by his poetic answers and ways of telling anecdotes about his writing that it’s impossible to do them justice in this blog. But he was charming in a way that perhaps only the Irish can be, describing growing up in County Wicklow with Aunt Annie, and the inspiration for his writing, which uses family members like her to create characters. He said he ‘wanted to make a box of Aunt Annie’, as it seems he does with so many other people, something to preserve their life, or re-create it in fiction. Another poignant example of this was his character in The Secret Scriptures (see my review), which was a heart-wrenching story about a family member who had been sectioned and lived decades in a mental institution. He wanted, he said, to give her back her life in a way. When you are past fifty years old, you can hear the waterfall toward which we all head, he said. You’ve seen your grandparents disappear over it, perhaps your parents, and the noise gets louder and louder and it’s up to you to do something. ‘How to live’ is why he writes. He wanted to leave something for his children that they might take in rather than the normal parental advice which would, of course, be ignored! In talking about A Long Long Way and the impacts of war he described how he keeps a letter from a Vietnam veteran in his copy from which he read, in which that man wrote that the war he described in the book was that man’s war. If we knew what we were sending our children off to when we send them to war we just wouldn’t do it. History infects generations, Barry said, a theme which Kate Grenville had talked about earlier in the day as well. I’ll wrap this up with one of his lovely thoughts, that ‘readers were the doctors of writers’. If that’s the case, then Barry is in ship-shape condition, and long may this be so. What then should I make of Toltz’s epic? Should I temper my natural inclination to praise such a long book?! How can I do that? I’ve tried, but every time I think that maybe I’ve found a reason to dislike it ever so slightly, I am overwhelmed by instant regret and swamped by all the positives. It really is a case of more is more. I won’t try to summarise the plot, but it’s a ripping good ‘yarn’, narrated by both Jasper Dean and his father Martin – the most hated man in Australia – whose brother, Terry, is a modern hero of the Australian public in a Ned Kelly kind of way, someone who has endeared himself to all by ridding us of cheating and corrupt sports stars. Martin on the other hand is a bit of a hopeless philosopher, with a bi-polar-style persona that veers from introverted depression to mania filled with ideas, such as his plan to make everyone in Australia a millionaire. It is a very funny read. There are so many jokes that quoting a few here is surely apt to do the whole injustice, but I’ll give it a go. Fortunately for us readers, there are enough laughs to go around in this towering burlesque. There is the town suggestion box, one of Martin’s great ideas, which initially brings the town together to hear its oracle-like suggestions, such as Martin’s own idea to build an observatory. But in the end, the townsfolk begin to make suggestions about other townsfolk and what they should do to improve themselves and the whole town unravels into a sniping mess. The observatory is built and is a success at first, but ends up starting a raging bushfire which destroys the town after its uncovered mirrors focus the sun’s rays onto the surrounding forest! It just goes on and on, spiralling from Poland to Sydney to Paris to Thailand. Shortlisted for the Booker Prize in 2008, A Fraction lost out to Aravind Adiga’s hugely successful The White Tiger. Of the other four shortlisted novels that year, I’ve also read Sebastian Barry’s The Secret Scripture: see my review here. I liked both of these books, but neither is as good as A Fraction. I found the ending a little ponderous, Jasper Dean, our narrator admits as much, trying to come up with something insightful to summarise the life of his father and life itself. It’s almost as if Toltz couldn’t summarise the previous 700-odd pages. But who cares? It’s a wonderful first novel. Make the time for it. Source: The Bookshelf Rainbow (aka: personal library). She is a formidable person and though long periods have gone by when I have not seen her, or only tangentially, I am always aware of her, and try to ask after her. I am afraid she is rather a touchstone for me. Roseanne meanwhile, has begun to write down her life’s story, penned in secret, and hidden beneath the floorboards of her room. The first-person narration switches between Roseanne’s chronological recollections and Dr Grene’s notes as he faces both professional challenges and the tremors in his private life. Initially, the stories of Roseanne’s early life hold sway over the drier rigours of Dr Grene as she explores her early childhood and her close relationship with her father. However, a balance is soon found as we learn more of Dr Grene’s private life, including his fraught relationship with his wife, Bet, caused by his own infidelity. There is a special regard between Dr Grene and Roseanne, a friendship of sorts. Tellingly, the only real comfort he finds when Bet dies is in the presence of this old ‘touchstone’. In turn, she wonders whether her secret scripture will be read at all, but takes comfort in the thought that Dr Grene may one day be her reader. It seems there is no surviving documentation detailing Roseanne’s arrival at the asylum. This changes as Dr Grene begins to find old documents that have survived in various forms in other hospitals that she was once a patient in. Things get interesting as we receive conflicting reports of Roseanne’s life and we are forced to ask ourselves which report is true. Does she recall everything correctly? She admits that her memories and imaginings reside in the same place in her mind. Are they the ravings of someone long-since banished from orderly thought? Or are the people who have plagued her truly harrowing life, such as Fr Gaunt, the local Catholic Priest, in some way to blame for her incarceration? Is his ‘deposition’, made on her committal, accurate? Or are they, in some way both true – has Roseanne altered her memories in such a way as to sanitise terrible truths and therein protect herself? … they jumped from the ledge in little groups and single, their clothes burning and burning, the flames blown up from the pinnies till they dragged above them like veritable wings, and those burning girls fell the height of that grand old mansion, and struck the cobbles. Over one hundred children die. Roseanne soon has to face another horror too – the death of her father, from a supposed suicide. After his death, and her mother’s own mental illness, Fr Gaunt encourages her, a Presbyterian, to marry a Catholic and save her soul. She is only in her mid-teens at this point and the man he picks out for her is over fifty, a certain Mr. Brady, who as it turns out, plays a more nefarious role in her life than she allows herself to recall. For that is the crux of her recollections – they are so painful that she seems to adapt them and belittle their misery, thinking that it must not compare to the grief of others. Fortunately she rejects Fr Gaunt’s offer, but this only serves to rile him and have him act against her at every turn thereafter. She gains work at a café to support her mother and finds a man, Tom McNulty, who saves her at the beach from certain drowning, and who is also a customer at the café. However, his mother rails against their marriage, cuts Roseanne off from Tom, and has Fr Gaunt act to annul the marriage. There is a rage that burns inside Roseanne at this point, a fury that we too share. But things get worse as she tells of her subsequent pregnancy and how her baby is stolen at birth. The birth is both heroic and horrific as Roseanne finds herself caught outside in a fierce storm. Father Gaunt subsequently writes in his clinical deposition that she has killed the baby and her committal is assured. But all is not as it seems. We wonder: did Roseanne have a baby as she recalls? If so, who was the father? And finally, what happened to it – did she really kill it as Fr Gaunt states? This is fertile territory for an accomplished writer such as Barry. He very skillfully keeps revealing layers of both Roseanne’s and Dr Grene’s lives in such a way as to keep raising questions in the reader’s mind. One of the main themes is that of history – can there be a single version of it, or is it merely like a collective memory and thus prone to human frailties such as imagined and misremembered events, motivations, and emotions(?) The differing recollections and documents explore this theme well. It all shapes up for a very dramatic climax. I won’t reveal anything here suffice to say there are a few surprises in the gathering together of all these versions of history. Some readers may find the big surprise a little bit stretched, even unnecessary. Others will absolutely love it. Perhaps it is no surprise coming from a writer whose early work was for the theatre where such climaxes are de-rigour and every character, large or small, must play their part. I felt that in the last forty to fifty pages the book accelerated and turned from a quite lyrical and meditative enquiry into past events into almost a thriller with a sledgehammer ‘reveal’. It felt a little bit rushed, to the point where I wondered whether I was reading someone else narrating as Dr Grene ties up the loose ends. I lost the sense of depth in characterisation that had preceded it – which ironically seemed all the more required because of the surprises. But perhaps that is the way people react to such sudden knowledge; it changes them, and they rush to interpret. There is also a structural issue apparent from the off – why has a patient in Dr Grene’s care spent thirty years without him knowing the details of her history or wanting to find out prior to this forced enquiry – particularly as she is someone he has a strange affection for? Barry does address this ‘lack of professionalism’ as Dr Grene sees it, but there is still a slight credibility gap. Furthermore, Roseanne has spent sixty years in mental institutions during a 20th Century riddled with inhuman treatment of such people, and is now a very adept and alert centurion! Whilst she writes that her notes ‘are my sanity’, it seems a little difficult to believe, but only if one is to be persnickety. And in one place, Dr Grene’s medical knowledge is found wanting. When he hears the voice of his dead wife calling to him one night, he questions whether it is adrenalin causing his physical reactions; surely a physician would know this? If you can get past the structural issue (as I allowed myself) it is a wonderful read and Barry’s writing is beautiful. I found myself stopping on numerous occasions to underline passages or images that particularly struck me. Highly lyrical, he delves into the inner workings of the mind with acute insight. The Secret Scripture was the hot tip to win the Man Booker Prize in 2008, but was beaten to the post by Aravind Adiga’s somewhat polarising The White Tiger. 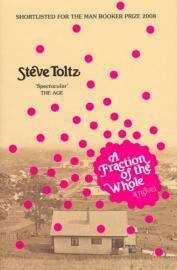 (Steve Toltz’s A Fraction of the Whole was also short-listed that year). I enjoyed Adiga’s book, but it wasn’t a great book. I certainly didn’t love it. It had a vibrant energy which helped sustained its rage. The Secret Scripture is definitely worthy of its Booker short-listing despite my slight misgivings, and is on a par with the winner. It is thus no surprise that it did win the respected James Tait Black Memorial Prize & the Costa (a UK café chain) Book Award. 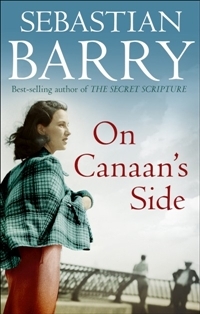 Interestingly, Sebastian Barry (like Paul Torday’s The Hopeless Life of Charlie Summers & Marilynne Robinson’s Home) has taken a character from a previous work, whether play or fiction, to base a new fictional novel on – in Barry’s case at least twice*. Clearly, when you’re onto a good thing – or a good character – you stick to it. Barry has since written another play. For those of us who enjoy great reads, we can only hope he returns to a format he is very good at. * Willie Dunne in A Long Long Way (short-listed for the 2005 Man Booker Prize), was the son of a fictional character from one of his earlier plays. And Eneas McNulty, brother to Roseanne’s would-be husband Tom in The Secret Scripture appeared in Barry’s earlier The Whereabouts of Eneas McNulty.